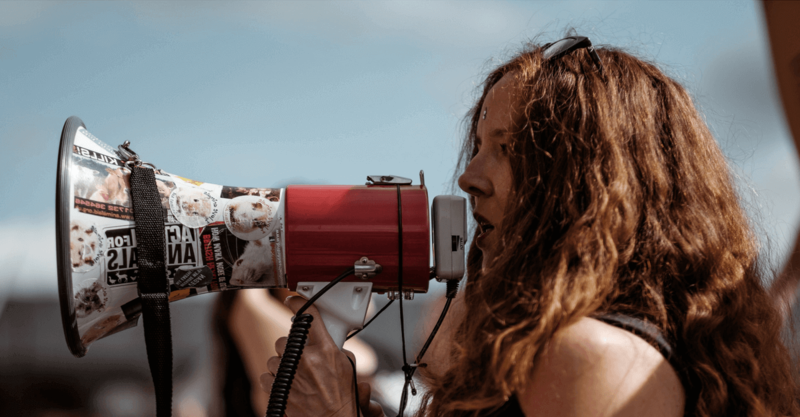 If you look at blogs and articles aimed at marketers, you’ll see there’s a lot of back and forth about whether brands should have opinions or not. Whether it’s theoretically advisable or not, some brands do take a public stance on current issues and they are faring quite well. Many liberal customers, in particular, seem to appreciate when brands they follow not only share their values but also stand up for them publicly. What do consumers want from brands? It can be scary for brands who decide to speak up about issues. There’s a certain fear of losing fans and customers involved, especially with customers who have diverging opinions. But how do consumers actually feel about brands getting political? 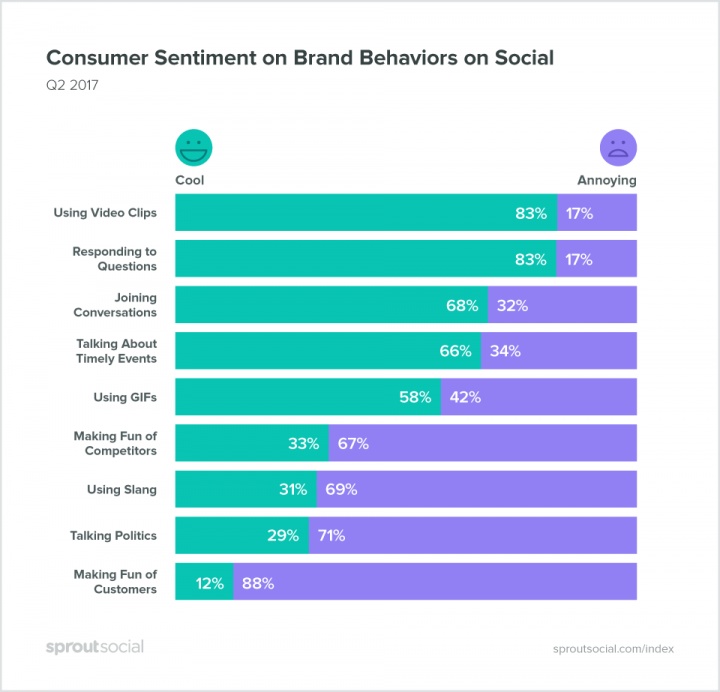 According to a Sprout Social study from 2017, 71% of consumers find it annoying if a brand talks politics on social media. 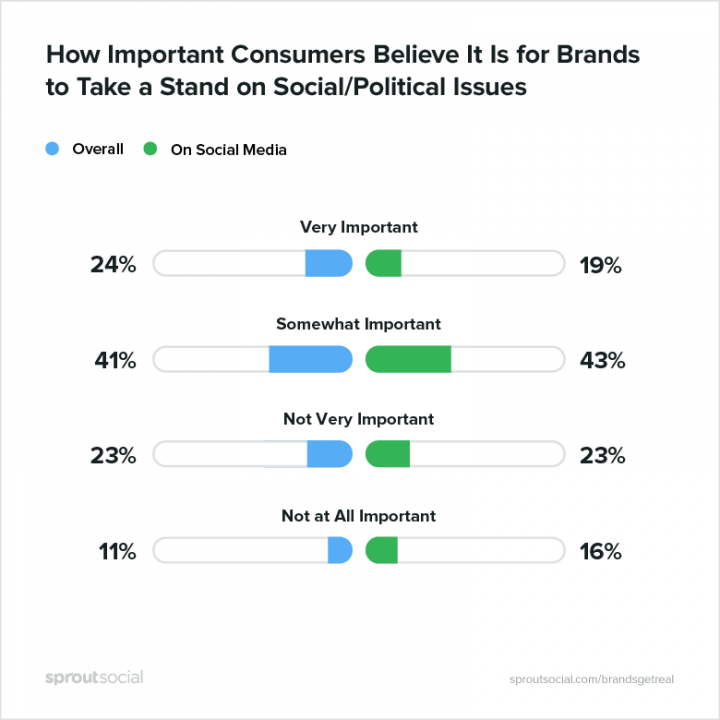 But a mere year later, Sprout Social did another study, which produced somewhat different results: two-thirds of consumers said that they do want brands to take a stand on political and social issues. Expressing an opinion is always risky. Especially if you get it terribly wrong like Pepsi did with their incredibly tone-deaf ad. However, the potential pay-off — though generally mostly for brands targeting liberal customers —, might just be worth the risk. Here are 5 brands, for whom taking a stand has done great things. Make your brand’s social media strategy stand out! Burger King recently decided to teach its customers something about net neutrality — with a simple analogy using burgers. Customers initially felt pranked but when the purpose of the exercise was revealed, they learned more about net neutrality and why it is important. Ever heard of Whopper Neutrality? Well, Burger King just repealed it to show how Net Neutrality may affect people’s lives. Keep Net Neutrality safe by signing the petition at Change.org/SavetheNet. This is not the first time Burger King has taken a public stance on social or political issues either. In 2014, Burger King introduced The Proud Whopper for San Francisco Pride. In autumn 2017, the brand published an anti-bullying social video ad. Ben & Jerry’s makes ice cream. But Ben & Jerry’s is also quite prolific when it comes to speaking up about issues. …from environmental issues to promoting intercultural exchange. The brand doesn’t just post about its politics on social media but is generally incredibly open about its beliefs. There aren’t just tweets and blog posts, but also a section on the Ben & Jerry’s website dedicated to issues the brand cares about (the issues are actually different ones for every country), as well as, of course, the progressive ice cream flavour names. As a popular ice cream brand, Ben & Jerry’s obviously has fans across the political spectrum. And yet, it doesn’t seem to be worried about alienating its more conservative fans by clearly showing its liberal politics. Big U.S. retailer Target is having some strong opinions and is not afraid to voice them. In 2015, Target declared it would start phasing out gender-based signage in some of its department to create more gender equality when it comes, for example, to children’s toys. Of course, there were some naysayers, but Target didn’t care. Toys are no longer labelled as “for boys” or “for girls”. Neither did Target care about the backlash for introducing a Pride-themed line. For five years in a row now, the retailer has launched a #TakePride section during Pride Month June. This isn’t the first time Target has seen boycotts for being LGBTQ-friendly. In 2016, various fundamentalist groups started the #AnywhereButTarget campaign calling for a boycott of the retailer because of its statement supporting trans bathroom rights. Target did not let this stop it either. Outdoor brand Patagonia is generally known as an environmentally conscious brand. It believes in creating gear that lasts a long time, instead of feeding into the use-and-toss economy. It donates a percentage of its sales to environmental groups and uses its social media presence to encourage consumers to be more environmentally conscious. But in December 2017, Patagonia went one step further. It announced that it will sue U.S. President Donald Trump for rolling back federal protections on the Bears Ears and Grand Staircase-Escalante national monuments in Utah. For one, Lush is a cruelty-free company and continuously tries to improve its products in order to make less of an impact on the environment. The brand is transparent about production methods and is trying to remove palm oil, as well as problematically produced mica powder, etc. from its products. But aside from continuously speaking up about environmental issues and climate change, Lush also addresses other topics, like digital rights and human rights. Lush takes a stand using its own products, in its shops and, consequently, on social media as well. Are you ready to stand up for what you believe in? It’s fair to say that there is always a risk involved for brands who are publicly having opinions on social media. Of course, some consumers might disagree. At the same time, it’s obvious that a lot of customers do care, clearly proven by initiatives to boycott brands who are seen as problematic or have publicly put a foot in the mouth. The #NotBuyingIt campaign calls for a boycott of brands that are using stereotypical and sexist advertising. Grab Your Wallet collects a list of brands who are supporting Trump and his administration. And the anonymous Sleeping Giants Twitter account has managed to incentivise almost 4,000 brands to withdraw their ads from alt-right website Breitbart. Some brands like to stick with topics that pertain directly to their field of work or products. Others, like Burger King or Lush, feel comfortable branching further out. What works for your brand is up to you, what you care about and what your customers care about. But in any case: don’t be afraid to stand up for what you believe in. You don’t have to be a big and money-heavy brand to support change. Sometimes it can be a small thing, like freelancers implementing a policy to not work with bigots (something I have done with a simple statement on my website) or a small cosmetics brand switching to environmentally friendly packaging. If we want the world to change, brands are going to have to do their part, in big and small ways. Take a stand and make people support your initiative!